Business View Magazine sits down with Enterprise Florida, Inc. (EFI) the principal economic development organization for the Sunshine State. 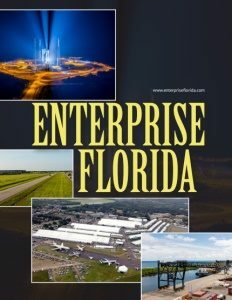 Enterprise Florida, Inc. (EFI) is the principal economic development organization for the Sunshine State. A public-private partnership between Florida’s business and government leaders, Enterprise Florida is funded both by the State of Florida and by private-sector businesses. It was first created in 1996, in the belief that, with hands-on participation by Florida businesses, Florida could move from its traditional economic drivers of tourism and agriculture to a sophisticated mix of industries and international business. Thus, Florida became the first state in the country to place principal responsibility for economic development, international trade, research, and business image marketing in the hands of a business-government partnership. Enterprise Florida’s ongoing mission is to expand and diversify the state’s economy through job creation, while championing Florida as the premier location for capital investment and business expansion and relocation. EFI recruits new business to the state, and works to retain and expand existing industry and business, focusing its economic development efforts on a wide range of industry sectors, including: aviation & aerospace, life sciences, information technology, defense & homeland security, clean energy, financial & professional services, and manufacturing. In 2011, Florida moved to optimize its economic development structure by creating the Department of Economic Opportunity (DEO) and giving Enterprise Florida’s President and CEO the additional title of Secretary of Commerce. A policy-driven Board of Directors, comprised of appointed members and a diverse group of investors representing some of the nation’s most notable corporations in Florida, oversees EFI’s operations. In addition, each member of the Florida Cabinet holds a position on the Board and the governor serves as the Board Chairman. BVM: Peter, what are Florida’s strengths as a state to do business in? If I wanted to open a new business or relocate to Florida, what would you tell me are some of the state’s benefits? Antonacci: “Everything comes under the heading of ‘business climate,’ and what we have is special. So, that includes permitting. The larger the business, the more permitting challenges, and even if you set up a small business, you have some permitting issues. Our permitting system is user-friendly. BVM: How does Enterprise Florida connect with businesses who want to come to Florida? BVM: Does being a public-private partnership help those outreach efforts? BVM: Do you see any opportunities for improvement in Enterprise Florida’s effectiveness? BVM: And yet, there are some in the state legislature who don’t believe that the government should be funding business development at all – or even doing business with business. BVM: What’s on your agenda as Florida’s Secretary of Commerce? BVM: Manny, can you talk about the responsibilities of your position? Mencia: “I manage the State of Florida’s trade development programs, which is helping Florida companies – with a strong emphasis on small and midsize companies – to find new clients, and sell their products in markets around the world. We work on the export side with between 2,200 and 2,500 small or mid-size Florida companies, every year. My unit is deployed statewide; I have field offices in Pensacola, Jacksonville, Tampa, Orlando, Palm Beach, and my headquarters in Miami. Each of those offices has a territory they are responsible for. You need to have people in the market that can visit a company and assess its export readiness. “I also manage our network of foreign offices in 12 countries around the world, which are there to promote Florida, to develop foreign direct investment leads, and to support our trade programs. And, as I see my mandate, it is also to help Florida companies diversify their exports; to find new markets in places like Asia, the Middle East, European Union, and Africa. BVM: Where does most of the state’s foreign investment currently come from? BVM: On the export side, how does Enterprise Florida help small Florida companies? Mencia: “We provide them with what we like to think is a pretty comprehensive program that runs the gamut. We talk to them about their export readiness, market selection, i.e. what are best markets for their products; we help them with market research and information; we talk to them about the channels of distribution in those markets, and, oftentimes, introduce them to our foreign offices for support. “For those companies that are less experienced, or fairly new to exporting, or are infrequent exporters, we have a strategic alliance with the Small Business Development Center Network in Florida, and are able to subsidize for them, a company-specific export marketing plan – a roadmap to expanding their exports. “My main tool for helping them after we qualify them and provide the best marketing information for them, etc., is to help them find a client and enter the market. So, we do, roughly, 30 international trade shows and trade missions every year. We focus our trade shows on the largest world-class aerospace and aviation defense shows; the large medical hospital/ pharma products exhibitions; IT; the marine industry. And we do shows in other sectors: security, transportation, and others. “Aviation and aerospace is probably Florida’s largest industry cluster; medical – we’re the second largest manufacturer in the nation of medical device products. We have a very fast growing IT sector in Florida – some 30,000 companies and growing fast. So, on the trade show side, we are very focused on those major sectors in Florida which are also high-growth and high-wage. “We also do trade missions, which are different than trade shows. They tend to be focused on growing international markets – Latin America, some in Africa, some in Asia – and those are, essentially, matchmaking missions. We recruit a group of companies; we vet their products to make sure they are in demand in that market, and then we work with U.S. Commercial Services and the U.S. embassy in that country, to help them line up individual appointments with companies interested in their specific product line. And then, they have high-value individual business meetings called Gold Key meetings. “We have a Florida export directory, online. Any Florida company can register there for free, so we can promote their products through this site, throughout the world. We have a newsletter to inform Florida companies about export opportunities, the trade shows that we do, all the partner events, etc. It goes to 10,000 Florida companies that are in our data base. “We also help companies in the form of a grants program, which are small grants designed to help a manufacturer or a high technology company go into new markets. Say you want to go to a trade show – we are able to offset 50 percent of the standard exhibition costs. When you go on a trade mission, the U.S. Department of Commerce charges a fee to make appointments, provide the translator, and so on. We have a grant for a new to market manufacturer or high tech company – we will pay the cost of your Gold Key meeting, 100 percent. “And the final one, which we just created recently: we are helping Florida companies localize their website. Say you just got back from ‘Arab Health,’ the largest medical show in the Middle East and you did well enough on that show that now you think that you should have a website in Arabic. We have a program to help offset part of the cost of translating the website. Let’s say you go to a show in Singapore and you want your website in Mandarin – we’re able to help you do that. BVM: “What do you say to those who suggest that the government should not be helping companies at all; that it should stay out of the ‘free market’? BVM: What are some of the most significant objectives that you have for your division over the next several years? Mencia: “On the export side, it’s a very simple equation: retain or possibly expand market share in Latin America and the Caribbean and, at the same time, continue to diversify our exports to other parts of the world. Right now, a little over 60 percent of everything Florida companies export goes to Latin America and the Caribbean; about 20 percent to Asia; a little less than that to Europe; and then the rest of the world. It would be great if it were more like, 50/50 – 50 percent to Latin America and the Caribbean and 50 percent spread out to the world. That is a long-term goal: to better balance our export market share. “And Florida could not be more ideally positioned to do more international business. If you look at our geographic position, we are at the very epicenter of the Western Hemisphere. We are also in an ideal position for east/west trade, particularly after the expansion of the Panama Canal which will result in increased business formation. I believe that if you’re a Florida manufacturer, the path to growth and increased sales is international business. And the statistics bear that out – Florida is the number two state in the nation in what the National Association of Manufacturers calls ‘manufacturing export intensity’ – that is the percentage of what you produce that is sold overseas and not in the domestic market. “Number two: take advantage of the expansion of the Panama Canal and the new generation of commercial aircrafts that make direct flights between Asia and Florida to help Florida companies do more business in Asia. Three: help more infrequent or non-exporters among manufacturers to get into the business and once they’re in the business, diversify their exports. 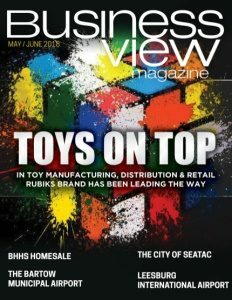 Check out this handpicked feature on Leon County, Florida – “Leon County Realizing Return on Vision (ROV)”.